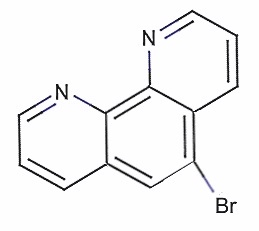 A newly available reagent, 5-Bromo-1,10-phenanthroline is being offered to the research community to expand the scope and application of 1,10-phenanthroline derivatives. Please consult with Rose Scientific if you need any custom synthesis of similar reagents as we are daily expanding our offerings. Storage: Keep cold and away from light and oxidizing agents.